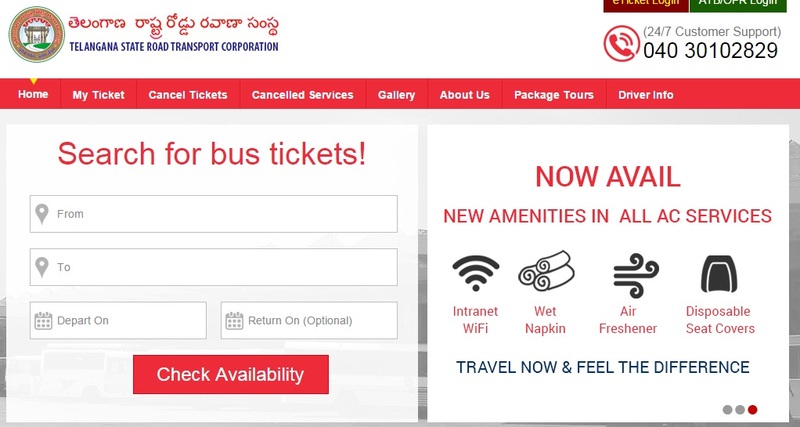 Book your bus ticket with TSRTC Online Ticket Booking portal on the Go. TSRTC is largest bus service provider in south India with more 3900 buses and books around 1.5 lakh seats per day. 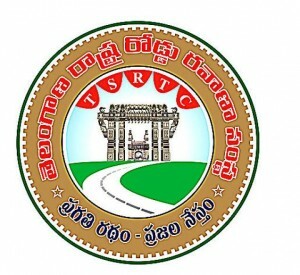 RTC has different buses like Vennela, Garuda Plus, Garuda, Indra, Super Luxury, Deluxe, Express, Pallevelugu and more. Hyderabad is the capital and leading bus service provider which connects all parts for Telangana. Book Buses with TSRTC Bus Booking for Hyderabad, Bhadrachalam, Srisailam, Vemulawada, Mahabubnagar, Nalgonda, Karimnagar, Nizamabad, Miryalaguda, Adilabad, Nirmal, Khammam, Warangal, Tirupathi, Vijayawada, Kakinada, Rajahmundry, Anantapur, Kadapa, Kurnool Vizianagaram, Guntur, Nellore, Chittoor. Check TSRTC Online Booking bus time table, distance, online bus booking information, bus fares, timetable, trip route on the Go. Get TSRTC Government bus / public transportation buses info on your mobile. Distance between TSRTC Online Booking. Check the daily buses run by TSRTC State Government Transport between with service number, duration, bus type, trip route, trip timings, seat availability for online booking, adult fare & child fare, alternative buses or bus routes from different locations to the destination. BusTimings.in is the leading source for all bus routes information from different bus stations and pickup points, get complete info for TSRTC, KSRTC, APSRTC, MSRTC, TNSTC buses. 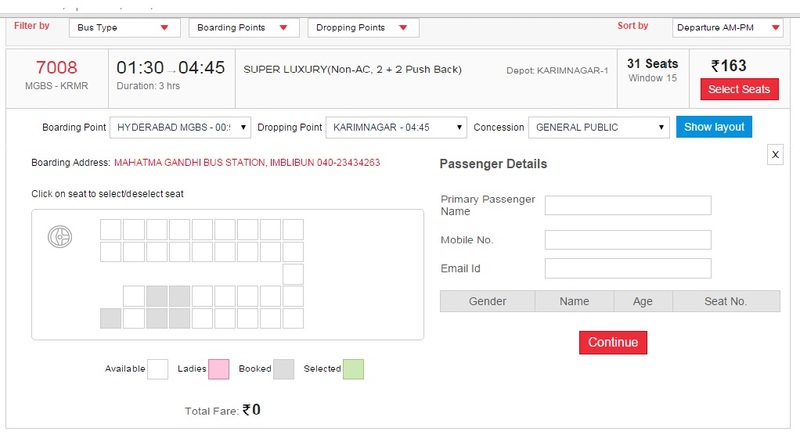 According to the TSRTC, commuters have a limitless opportunity to handle their booking procedures entirely online. This is a notable reprieve on the part of initially inconvenienced local bus users who couldn't put in place travel arrangements without visiting a RTC agency. Most unfortunate thing Is there are no AC Buses to Karimnagar from Hyderabad. Nice information. Book a bus ticket from Amulyam and maximize your savings. Why TSRTC don’t run Garuda buses from JBS to Karimnagar & Nizambad in the late night?